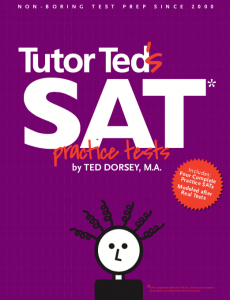 The sixth test prep book published by Tutor Ted, and our first book to tackle the new SAT, we are confident in saying that this is the best book we have ever published. No offense, other books. 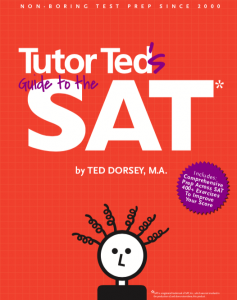 The companion book to “Tutor Ted’s Guide to the SAT,” our practice tests feature questions not just modeled after the real test but designed to anticipate future SAT test questions. 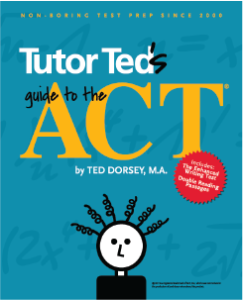 The result of years of research combined with the absolute latest in ACT knowledge, “Tutor Ted’s Guide to the ACT” is the resource students need to be prepared for the current ACT. 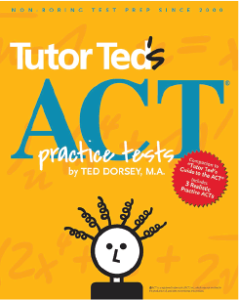 The companion volume to “Tutor Ted’s Guide to the ACT,” “Tutor Ted’s ACT Practice Tests” contains three realistic ACT practice tests that reflect the current ACT exam.